The purpose of insurance is to ensure the minimal financial loss in case of unfortunate events. 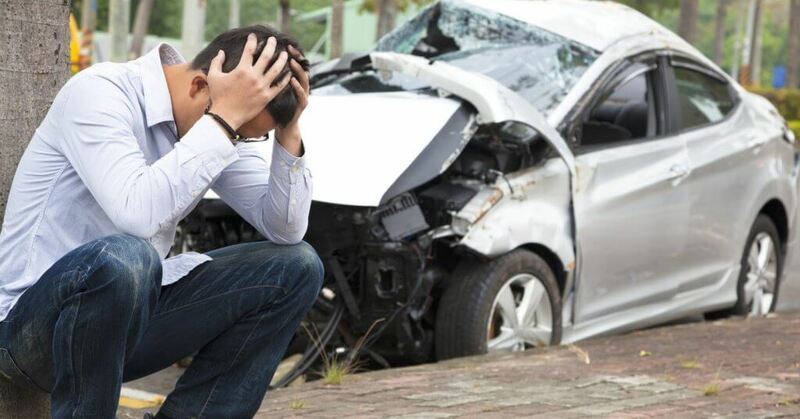 In car insurance, the damage incurred can be to your car as well as to others. A Third-party Liability car insurance policy is designed to cover the third parties that might be affected by your car. It is mandatory as per The Motor Vehicles Act, 1988 and driving without a Third-party Liability policy is a punishable offense. However, it is not the most ideal coverage with regards to the above-mentioned purpose of insurance. Read ahead to know 3 reasons why a Third-party Liability car insurance is just not enough. A Third-party Liability insurance does not cover damages to your car. Here, you are paying an insurance premium just to comply with the law while your car remains uninsured when it comes to own damage. What this means is that, for example, if your car skids and hits a tree, your insurance policy will not pay for repairing your damaged vehicle. Also, you will not be covered if your car gets stolen or damaged due to a natural or man-made calamity. A Third-party Liability policy offers a Personal Accident cover for the owner/driver up to Rs. 2 lakhs. This is subject to the terms and conditions mentioned in the car insurance policy. Considering today’s hospitalization and medical treatment charges, such a cover might not be sufficient. Your medical expenses might be much higher than the claim amount received in case you suffer a personal injury while driving the car. Add-ons play a huge role in extending your car’s insurance cover. A car insurance policy is generic in nature but you can customize it to an extent using suitable Add-ons. For example, you can opt for a Passenger Cover to insure your fellow passengers or purchase an Engine Protection Cover to widen your insurance policy’s coverage. But one cannot buy such Add-ons with just the Third-party Liability car insurance policy. It is clear from the above-mentioned points that a Third-party Liability insurance cover just isn’t enough for your car. A Comprehensive Car Insurance policy is the available alternative. It includes the mandatory aspect of the Third-party Liability insurance policy. This way, you comply with the law after purchasing the policy. In addition, it covers your car against theft and damages, and you can opt for Add-ons as well. A Personal Accident Add-on can give you enhanced coverage in case of personal injuries. You can choose from popular Add-ons such as Zero Depreciation, Roadside Assistance, NCB Protect, Return to Invoice, etc. Go for an insurance policy that offers adequate coverage and charges fair insurance premium. Nowadays, it has become extremely easy to purchase car insurance online. Visit your preferred car insurer’s website, choose your policy, understand terms and conditions, make the payment, and receive the policy in your inbox. Make sure you go through the policy’s inclusions and exclusions to make an informed choice. Remember to renew your car insurance in a timely manner and keep a printout of the policy in your car along with your car’s Registration Certificate and Pollution Under Control Certificate (PUC). How To Keep Calm And Drive On Indian Roads?